For any investment an organization makes, leaders want to see a return. Yet even as marketing and technology evolve and become more robust and sophisticated, many marketing leaders still struggle to demonstrate marketing ROI. Many marketing professionals argue that it is difficult if not impossible to demonstrate ROI for marketing dollars. Though there are some challenges to drawing a line between marketing dollars invested and returns realized, it is not impossible, and even more important it is necessary to the vitality of the organization and the role of marketing for marketing professionals to demonstrate marketing ROI. 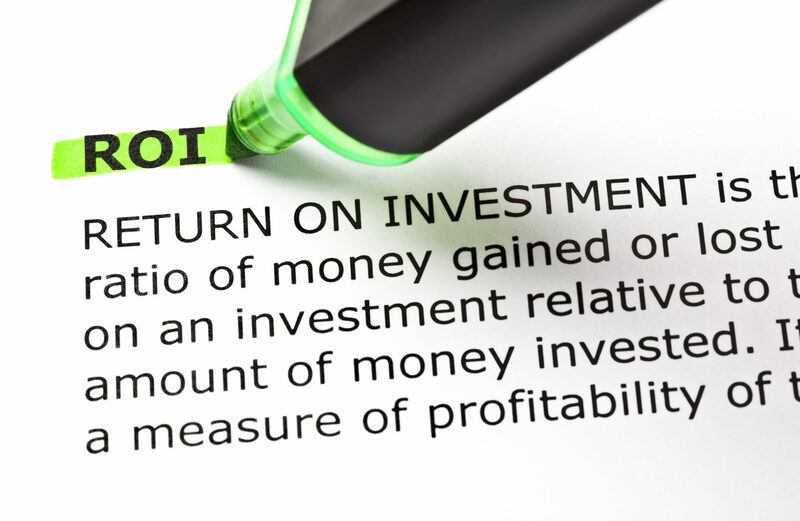 Below is an exploration of the challenges in demonstrating Marketing ROI and how they can be addressed. Even with the advent of the internet, social media, CRMs, and other marketing technologies, it is still rather difficult to draw a direct line of causation from the dollars invested in a marketing tactics or campaigns and revenue realized for the organization. This is especially true for those marketing activities that occur offline without the advantage of online based tracking methods like traceable links. Unfortunately, few marketing professionals are ever taught how to draw connections between direct investment and correlated results. Leverage Digital: Wherever possible, leverage online tracking and reporting tools like google analytics, Facebook insights, and others. Employ Trackable CTAs: Trackable links and calls to actions are not limited to online posts. Create custom links for print campaigns and track them online using Google Analytics. Survey Regularly: Voice of the Customer surveys, through both digital channels like email or websites and offline channels like phone or in person, allow marketing to capture insights and data missing from the digital side. This is especially true of qualitative data and sentiment, which are important for providing context and deeper meaning to data. Engage other Departments: Often what is missing to draw the relationship from marketing to return is critical information from other departments in the organization. Financial reports from accounting, leads and opportunity stats from sales, and orders and satisfaction insights from operations all help to tell the story. Another reason why it is a struggle to demonstrate marketing ROI is the fact that marketing occurs in a variety of ways, both online and offline. Because the numerous channels employed by marketing don’t communicate with each other, it creates a tremendous amount of extra work for marketing departments to effectively track and report. Even if marketing is able to get accurate and efficient reports from the different channels, they still are faced with creating a single, easy to read, visual representation that speaks to leaders. Leverage Dashboards: Digital dashboards allow you to create visual, consolidated reports from a variety of channels both online and off. They allow marketers to utilize standard dashboards for channels such as Facebook, with robust customization for tying databases, spreadsheets, and other data to key metrics. One drawback is they often require developer support to properly connect and format, however, there are hundreds of integrations available allowing marketers to seamlessly integrate reporting from multiple sources, often in real time. Simplify Tools and Vendors: Often, the challenge with reporting is that the marketing department has employed too many tools and vendors. Sometimes new marketing teams inherit contracts and tools from previous teams, or purchase software and platforms to satisfy a single need, without properly vetting and researching tools to find the best fit. Conducting an audit of tools and vendors against a set of functional requirements and budget guidelines helps to simplify and streamline marketing in all areas, not just reporting. To properly demonstrate return, marketing has to make the connection from marketing dollars spent to metrics that matter to the organization as a whole. Unfortunately, those metrics often aren’t disclosed, or marketing doesn’t understand them well enough to demonstrate a relationship between marketing efforts and organizational goals. This is especially true in organizations that are heavily siloed and that view marketing as expendable “overhead.” The lines of communication required to convey critical strategic information are broken or closed, making it difficult for marketing to position themselves as strategic partners within the organization. Know the Business: Start by getting to know the business inside and out. The more understanding marketing has about how the organization runs and makes money, the better able they are to identify and draw connections to critical key performance indicators that speak to leaders and decision makers. Connect with Leadership: The best solution is to connect with leadership regularly. Marketers who show a vested interest in how the business runs and in helping meet organizational goals will be seen as strategic allies, and as such, will receive information and opportunities to inform and steer marketing’s role in meeting organizational goals. Tell the Story: As mentioned earlier, most ROI for marketing is corollary. So, it’s up to marketing to use the information from dashboards, other department leaders, and their knowledge of the business to demonstrate the strong impact marketing has on the organization’s strategy and financial health. Although its isn’t as easy to demonstrate marketing ROI as it is for other areas of the business, it is not only possible, it is critical. Marketing has a major role to play in attracting new customers, retaining existing customers, and even in securing and maintaining talent. The more marketing can demonstrate return for their efforts, the more their value will be seen and understood by leadership and the organization as a whole.